A man was spotted exposing himself near a children's play area in Warwick this morning (Tuesday). According to the Warwick Safer Neighbourhood Team there were two incidents this morning (Tuesday January 15). 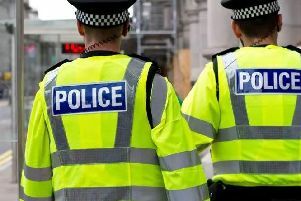 The first incident (incident number 63 of January 15) happened at around 8.45am where a white male was seen standing in a woody area of the Woodloes Park Estate, with his shorts around his ankles exposing himself to passers by. The shorts are described as black with green stripes. According to police a second incident (incident number 65 of January 15) happened around 10 minutes later when a woman saw a man sitting in the bandstand on the canal side play area with his trousers and boxers down exposing himself. He was then seen heading towards the Coventry Road. A spokesperson from the Warwick Safer Neighbourhood Team said: "Police responded by making a search of the areas stated but did not find anyone matching the description. "Patrols of the area will be made regularly." If anyone has any information about incidents they should call Warwickshire Police call 101 and quote the incident number given above.